WTA Elite Trophy, another international sporting event in our Zhuhai City. In the past, we don’t have many international sport events in Zhuhai, except the China Airshow. Now the WTA is expected to become a new brand of international events for this city. With broadcast of over 200 countries and regions, domestic and foreign media, tennis professionals and a large number of fans will all focus on this city, through this event people will get to know about Zhuhai, come into Zhuhai, and thus to build a new bridge for communication and cooperation with foreign friends, which will allow Zhuhai pioneer of reform and opening this new era. 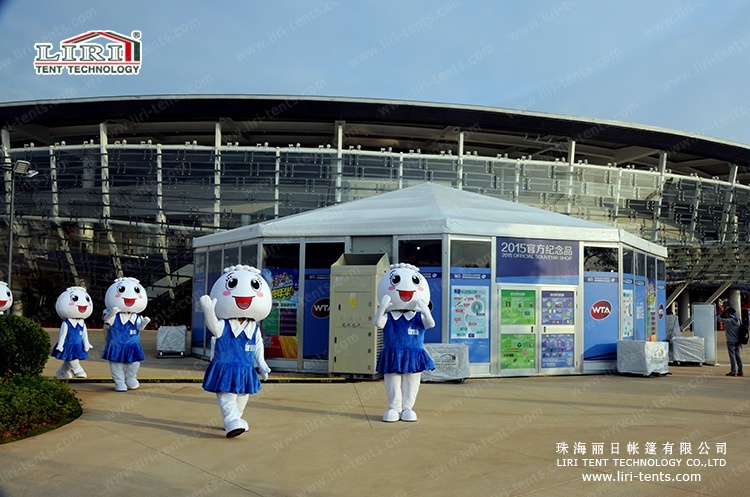 Zhuhai WTA, LIRI TENT is now well dressed up, waiting for our guests from all over the world. Zhuhai Liri Tent Co., Ltd. as a local company will certainly do our best to make contribution on building Zhuhai city into an international city. As the exclusive tent supplier, we provide logistical support services for this sport event, including tents for restaurant, security, logistics, VIP reception and other outdoor tents solution.. Liri Tent will give a warm welcome to this event with our high-quality and efficient preparations. We will also provide considerate services for all our guests, to show our hospitality as Zhuhai people, and to present a mature, elegant LIRI TENT to our friends from all over the world. In the WTA , Liri Tent has sent many tents with different shapes, one of these tents there are some Octagon Tents, this tent with a special design and make the tents more eye catching. According to the profile size, there are three types in the Octagonal Tents series. They include the ET/OCT, GT/OCT, and BT/OCT. The Tent is available in both 10m and 15m. The tent frame uses hard pressed extruded aluminum alloy 6061/T6 and the roof cover uses PVC coated polyester textile (650-850g/m2). 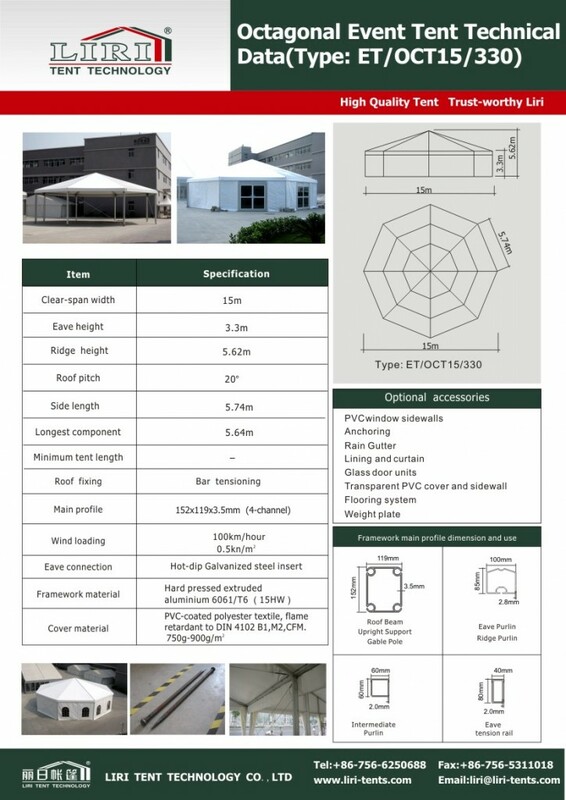 The tent structure is in an octagon shape and it will ensure that the structure will be safe and steady so that it can achieve 100km/h wind loading.